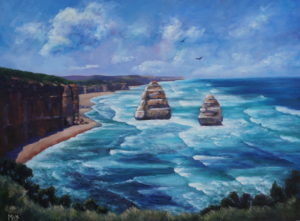 The scenery along the Great Ocean Road is Australia’s best known world wide and for good reason. It is breathtaking in any season. This atmospheric sky with storm clouds building is a different view of the Gibson’s Steps beach. As I live on the Bellarine Peninsula near Geelong, Australia, I have plenty of world class beaches on my doorstep. 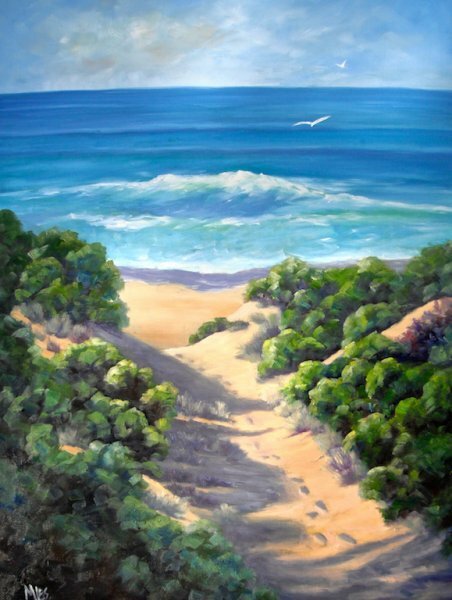 The Great Ocean Road provides many fantastic opportunities for creating Australian beach paintings and seascapes en plein air. I love walking and painting outdoors, often combining the two activities. 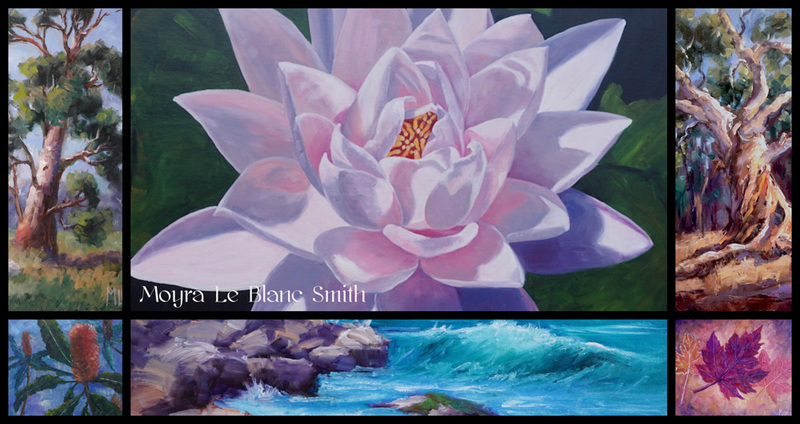 Sometimes, photographs are taken to capture unique moments in time, such as a crashing wave and these photographs are used later in the studio to create larger paintings. 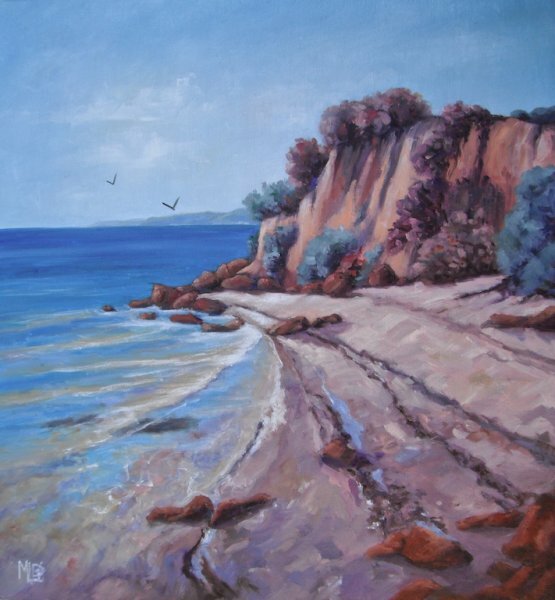 Oil paint is ideal for this subject as the tactile nature of the paint can be ‘sculpted’ into waves, rocks and headlands.